Rosanna Ley, who teaches creative writing on annual writing holidays, is a great advocate of researching her novels and says ‘don’t write what you know – write what you want to explore and discover’. 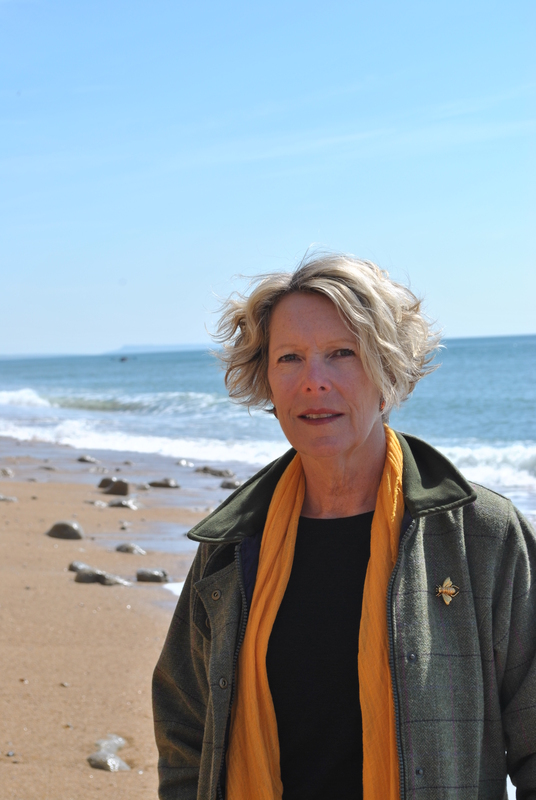 For The Saffron Trail Rosanna did extensive research into saffron farming in Norfolk, collected personal experiences of WW2 from people in West Dorset; and travelled to Marrakech and Essaouria to experience Moroccan cooking and architecture for herself. Hello Rosanna – Thank you for taking part in this interview for Natsreadingcloud. Would you like to start by introducing yourself to my readers..? Hello! I write novels set in locations such as Burma, Morocco and Sicily for Quercus Books. I love travelling – which helps! – and live by the sea in West Dorset. I also run writing retreats in the UK and abroad. 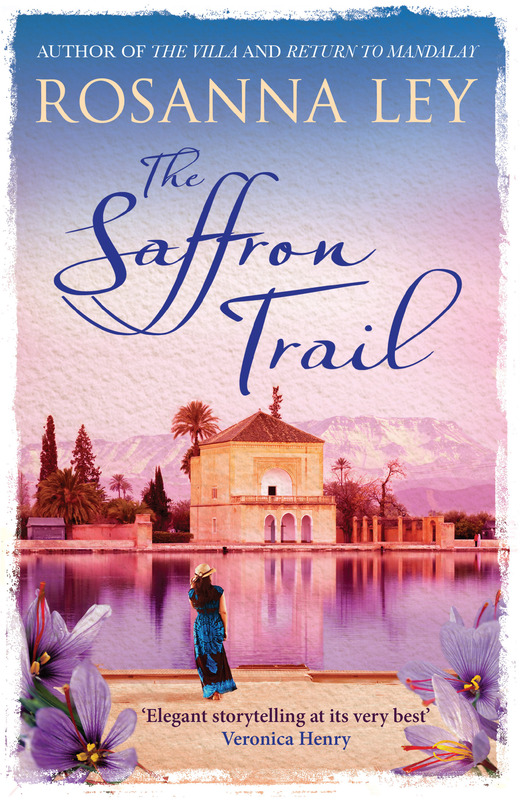 I really enjoyed The Saffron Trail – can you tell us a bit about it? A small group of Europeans travel to a tranquil riad in Marrakech to learn about Moroccan cuisine. Among the group are Nell, who dreams of opening her own restaurant back in the UK and photographer Amy, who is gathering illustrative material for a Moroccan event and publication for her gallery in Lyme Regis. Nell is searching for a sense of direction following the death of her mother. Amy is searching for her cousin Glenn – an American draft dodger last heard of living in a hippie commune in the shadows of the Atlas Mountains. Although the two young women have not met before and know nothing of each other, their families are linked through history – by the relationships they have shared and by what they have lost in wartime and in peace. The book follows their journey as they search out the secrets of the past and make decisions about how to move on into their future. How did you go about doing the research for the Saffron Trail? Did you visit Morocco? I did lots of reading and Googling to find out more about saffron, about Moroccan food and architecture, about draft dodgers and the history of the Vietnam war, about the ‘hippie trail’ of the 1960s and Bridport during World War 2 – all subjects that feature in the book. And yes, I visited Marrakech, Essaouira, a saffron farm in the foothills of the Atlas mountains and a waterfall in Morocco to get the full flavour. And Roseland in Cornwall of course! What is your favorite Moroccan Food? I had some wonderful tagines while over there – my favourite was a fish tagine with saffron, cous cous and an aubergine and tomato salad. Yum. I understand you worked as a creative writing tutor for 20 years. What are your top 3 writing tips for writers just started out? Don’t write what you know – write what you want to explore. Try and write a bit every day. Who are your favorite Authors? And what genre of books do you enjoy reading? I have so many! DH Lawrence is my hero and I also love Jane Austen. In contemporary writing I love Anita Shreve, Kate Morton and Maggie O’Farrell. I like reading crime, psychological thrillers, intelligent women’s fiction. I like some literary fiction as long as it’s accessible and not self-indulgent. I just like a really good story written well, and it’s a shame we have to separate it into genres for marketing purposes. What is the best thing about being a writer? Justifying travel beyond one holiday a year is the pat answer. The more considered answer would be that although it’s hard work it’s also incredibly thrilling when a book is finished – and even more so when readers like it! And finally – have you started writing your next book? Oh, yes. I’m almost finishing the first draft. It’s set in Cuba and the working title is ‘The Last Rumba’.